My name is... let that be. 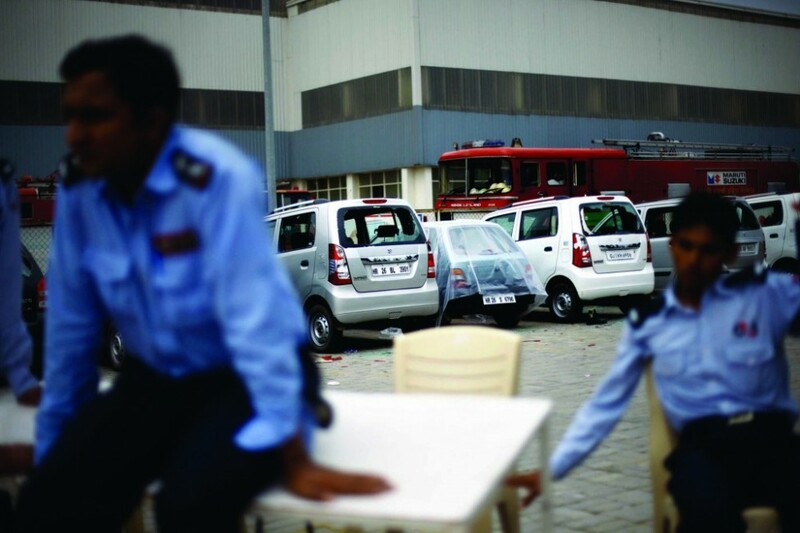 Maruti Suzuki is out to get me, not because I did anything but because they want to put virtually every worker in jail, even those who belonged to the third shift and were not even present when violence took place in the Manesar factory on 18 July. I was present there and will tell you what happened, but to understand it you will have to let me begin from the beginning. I am 26 years old. I come from a village in Panipat. My father is a daily wage labourer. After finishing class 10 in a government school, I enrolled at the Panipat Industrial Training Institute (ITI). After two years of learning to handle machines at the ITI, I joined Maruti’s Gurgaon plant as an apprentice in 2006. The apprenticeship lasts a year. I was anxious before I first entered the plant, because I knew many from Panipat who have done that before, and they all used to say there’s so much work, and it’s such heavy work, you won’t be able to do it. I was determined to prove them wrong. I soon realised what they meant, the work pressure can’t be described, it has to be experienced. First they took a day or two for the joining procedures after which I found myself getting training for another day or two in their Apprenticeship Wing. This was followed by some training for another day or two on the line, and then they left me to work, on my own. Apprenticeship means training, but there was no training. Apprentices are free labour for Maruti because even though we get a stipend, it is reimbursed to Maruti by the government. The Rs. 2,800 a month was its way of helping the ITI products get a job. In the factory, we make cars. The parts come from various companies, hundreds of vendors make those parts for Maruti and we fit them to the frame of the car. I was taken aback by the Maruti way. All of us, from apprentices to permanent workers, had to work eight hours, which did not include a 30-minute lunch break. We got two tea breaks on company time, seven minutes each, to manage tea, snacks and the toilet, all together. It takes a minute and a half just for the tea to arrive. You could either have tea or take a leak, but soon we learnt to do both together. Teacup in one hand, we’d run to the toilet. Before returning to work we also had to wash the tea cup before putting it back into our lockers. Now, I did the ITI course and landed in Gurgaon to work. But I had no idea it would be such back-breaking non-stop work for eight hours. The salary didn’t justify it either. But here I was, this was life, I began to accept it. After a year of so-called apprenticeship at Gurgaon they gave me a job at the Manesar plant, started just a few months ago. The rules were the same. I wake up at 4.30 a.m., the bus arrives to pick us up at 5.20 a.m., reach the factory at 6.30 a.m. The factory is about 25-30 km from where most workers live in Gurgaon. The shift begins at 7 a.m. Some months ago they changed the shift timing to 6.30 a.m., so we have to wake up even earlier. This was because some workers come from Delhi too, and they have to beat the early morning traffic between Delhi and Gurgaon. The transport isn’t free, they deduct Rs. 500 a month from our salary. The lunch and tea are subsidised—around Rs. 350 is deducted from our salaries. Tea breaks are in the rest area next to where we work on the shopfloor, but lunch, which is on our time, is in the canteen. Some workers have to walk quite a distance to the canteen, so 30 minutes isn’t enough to grab lunch or go to the bathroom. One worker being late can stop the entire conveyor belt, so that worker gets a lot of flak from the managers. So now we wake up at 3.45 a.m. and the shift begins at 6 a.m.. Only technically, though. They start the morning meeting and the warm-up exercises 15 minutes before, from what is our time, not included in their eight hours. The point of the morning meeting is to take names and count who made what mistakes, who left a loose part, who missed a part in the conveyor belt, causing a delay of how many seconds in the production line. The day begins with humiliation. You did this! You did that! I want your explanation in writing. If this happens again we’ll give you a warning letter. And today we want these many cars done, no excuses shall be entertained. Then the exercises begin on the shop-floor, the conveyor belt is soon switched on. While I had to install parts, some are also in checking and repair. First, the metal sheets are converted into the car body by machines, which is assembled by workers in the weld shop. Then it goes to the paint shop, where the process is semi-mechanised. In the Assembly, the parts are fitted together, beginning with the wiring and meshing, then the brakes and pedals and the steering and so on. The car comes to the worker on the conveyor belt and depending on what your job is to add to it, it stops for 35-40 seconds on an average. So if a worker’s task is to add a brake and pedal, then that’s what you do all day, with 8-10 bolts in every car, car after car, 40 seconds per car. The result is a bit like a dance move, the same move, non-stop for eight hours. The screw gun in one hand, fix it, run back, pick up another bolt, move back to the car. A bit like aerobics. The Manesar plant, I am sure, is the world’s fastest car production facility. The conveyor belt doesn’t really stop, we move with it and rush back to the original position in time for the next car. We don’t control the machine, the machine controls us. We dance to its tune. The result is that you could miss a car or two if you dared to drink water or scratch your back. Such things must be done by us along with fitting the parts. If in such a schedule you feel thirsty, it takes 45 minutes to steal time to drink water without missing a car. Workers pass water bottles on the conveyor belt. The problem may sound comical but it isn’t funny when you miss a car. Imagine being asked by the supervisor at the end of the shift why you missed one car. To give an explanation that I missed it as four seconds were wasted scratching my back… is this what a man deserves? Conversations like these take place after the shift, when we are summoned and scolded, given warning letters and so on. It is not considered human to err. Why aren’t you able to work? we’re asked. Aren’t others working? Why did you have to go to the bathroom? God forbid if you have an upset stomach! The manager tells supervisors to discourage workers from drinking as they will then want to go take a leak. Supposing they figured out that one is able to steal time to drink water between the work, next day such a worker would find the work suddenly increasing. They study us through CCTV cameras, constantly trying to squeeze more work out of our hands. How dare you manage to save the time to drink water! Five free seconds! That is not acceptable to them. If a worker says he really has to rush to the bathroom, the supervisor would say I don’t allow it, now do what you can. This would result in peeing in the pants, sometimes defecating too. That is the worker’s answer to what he can do against the system. Their concept of “overtime” is Rs. 17—whether you are made to work overtime for one hour or two, you get the same fixed princely sum! Maruti does not want us to waste a single millisecond of the eight hours for which it pays us such a miserly sum. This overtime would be divided in two parts—an hour before the shift and an hour after. Even if you were a minute late reaching the factory, even in “overtime”, they would deduct half day’s salary! With such overtime in winters a worker would get six hours of sleep, considering the traffic jams those days at Honda Chowk would delay us returning home on our way back. Asking for leave is a sin. Supposing a worker’s father dies and he wants to rush home, he is asked, “Why don’t you finish the shift and go? By the time you reach, the cremation would be over anyway.” The maximum you can be away if your loved one has died is three days. After that, you’ll be deluged with phone calls asking if you intend to stay in the village forever. Other companies are better, but they tend to copy the Maruti way. Such is Maruti’s confidence in their way that they have passed it on to their vendor companies as well. Such are the conditions in which we make four Maruti cars: Swift, Swift Dzire, A Star and SX4. I think we were freer under the British Raj. Such authoritarian treatment of workers led to the realisation that we need to make a union. We already had one, which we call the “management union” as it is their showpiece union, with their men in it, and never known to have elections. This management union was actually from the Gurgaon plant, and we in the Manesar plant would be forced to sign on paper showing our membership of it. We wanted our own union, a real union, one that would take up our issues. And that is what Maruti did not want. This is the crux of the matter. I was hauled up many times during my apprenticeship, scolded every other day, given warning letters every now and then. If I was so bad, why did they give me a job at Manesar? That’s because they had given me during the apprenticeship the important training of learning to bend before their authoritarianism (tanashahi). By wanting to form a union, we wanted to change the way they behaved with us for years. We were trying to change the Maruti way. My starting salary in Manesar was Rs. 3,500 in 2007. In 2008 they gave me Rs. 4,500; in 2009 Rs. 5,500. That is, they gave me a raise of Rs. 1,000 every year. These three years I was a trainee. Have you ever heard of a training period of three years? This is to make sure that they can fire you when they like, especially if you are the kind who raises a voice. Three years is what they think it takes them to break a worker. What they do is they grade your performance at the end of the financial year. So there are workers who spend as many as three or four years in the same job category as the first traineeship period (called TT1 or Technician Training 1), earning Rs. 3,500 forever, like a student who is failed again and again. After this they were fired. As many as 30 per cent would be fired during the training period, and another 10 per cent would leave on their own. In 2010 they made me permanent, my salary now is Rs. 15,000. No raise since then. But the Rs. 15,000 is not fixed. My basic salary is only Rs. 5,001. Then there is in incentive of Rs. 8,000. The incentive is based on the number of cars produced in the factory. Not that the worker has any way of knowing how many cars were produced, or how their complicated system of incentives with several clauses and sub-clauses actually works. We get the salary in our bank accounts and are taught not to question. The thought of quitting never occurred to me. I didn’t know what else I could do, where I could go. I spent two years at an ITI to get this job and I don’t mind it. I just want the mental pressure constantly exerted on us to ease. Quitting and going back to the village was also not an option because around the time I got the job in Manesar in 2007, I got married. I took a week’s break to get married. I left work for home only the day before my marriage. I had been a few months in the job. The company gives us nine casual leaves and 12 sick leaves. However, the way the incentive scheme has been designed is that for every leave you take, you lose Rs. 1,500! Out of that Rs. 8,000 incentive! So while on paper they have 21 leaves for us, they make sure we lose too much from our salaries to dare to take those leaves. A daily wage job is better, because in that you don’t earn for the day you don’t work. But here, if you take three days a month, you entire “incentive” or more than half your salary is wiped out! If the electronic punching machine shows you late by a second, you are considered present for only half the working day. By contrast, you could be made to work overtime for three hours after work, and get only ₹17! These work conditions were always the same, but by 2011 we felt so broken we made up our minds to rebel. Now, either we’d prevail or the management. On 3 June 2011 we moved a file with the Haryana Government’s labour department to register our own union. The next day, Maruti announced elections, the first ever elections, to their puppet union! Our demands earlier that elections should be held to the union were invariably ignored. Then at 12 noon they changed their minds again. They sent around a piece of paper forcing everyone to sign on it. The paper said that we don’t want an election to the existing union, we’re fine with it as it is. The supervisors threatened and abused and said we’ll have to sign this. They started calling workers into the office one by one and gave them the option to sign that piece of paper or quit. The body of members we had formed to make our own union and press for our demands, decided that we would go on strike. So 4 June 2011 is when we went on a strike for the first time. We told the management, we don’t want to go on a strike, just take back this piece of paper, don’t force us to sign it, and we’ll return to work. The strike lasted 13 days. All of us, 3,000 of us, contract to permanent workers, each one struck work. We would go in and sit on our positions in the shop-floor for the period of our shifts. The management stopped the tea and lunch, closed the toilets and the water taps. They agreed to let us take food and water from our friends outside. It was strange and defiant to be sitting on the shop-floor for 13 days. It was important to sit there and not outside because there’s nothing more that the company would like—they would simply get another set of workers and start production. Our leader was Sonu Gujjar. He is the one who mobilised us all, headed the co-ordination committee and moved the file to register it as a union. The co-ordination committee had eight members including the secretary, Shiv Kumar. On the 13th day, the management agreed to not come in the way of making our own union, separate from the Gurgaon plant. Our demand met, we went back to work, only to realise they had more cards to play against us. To understand what has been happening in Maruti with the workers since June 2011, you will have to understand what happened in the Gurgaon factory in 2000. For this let me take you to meet my friend Rajesh Goswami who was fired from Maruti back then. Rajesh Goswami’s story: I hail from Sonepat in Haryana. Maruti began in Gurgaon in 1983. I joined in 1992. To begin with, Suzuki had a 26 per cent stake and the rest was the Government of India’s. There was no small car in India and for years Maruti 800 had no competition. It successfully established itself in 5-6 years. Global car companies came to India only in the mid-’90s by following the opening up of India’s economy in 1991. By this time Maruti had long had a monopoly. There was a workers’ union by the mid-’80s, which had few complaints as the management had been good. In 1992, Suzuki increased its stake in the company to 50 per cent and then in 2002 to 54.2 per cent making it, rather than the government, a majority stakeholder. Until this happened, the workers had a voice, we would be listened to. The first time they introduced the incentive scheme in the ’80s, the management sat down with the workers and explained it to us. The scheme was mindful of some standards of labour rights. We had to produce 25 Maruti 800s a year per worker, and above that we’d get financial incentives. Thereafter, the management kept making changes to the incentive scheme unilaterally. In 1995, there was a token strike of a day or two to protest the reduction of government stake. By now the unions would be in management control and the management would have its way with whatever new policies it wanted to implement. This was the time when they increased the number of plants in Gurgaon from one to three. Until 1993, all workers would become permanent employees. There would only be a probation period of six months. But when in 1993 the car market began booming, the Maruti workers ironically started to suffer at the hands of the management. They introduced a two-year training period now. What was the need for a two-year training period for a worker who has trained at an ITI for two years and then as an apprentice with you for a year? The idea was to get cheap labour, to call you a trainee and pay you less than half the salary they would otherwise pay you. Nobody opposed this: those who were being hired couldn’t have opposed it, and the old permanent employees unfortunately didn’t take it up because they were not suffering personally. From 1995, they started having contract workers to cut costs even more. These were the same people as us, villagers who spent two years at an ITI and a year as an apprentice but were now told they could be hired only as temporary, contractual labour. If the government paid you Rs. 500 a month as an apprentice, Maruti paid you Rs. 1,000 a month as contractual labour. By 1997, they wanted to get rid of the old permanent labourers so that they could get most of the production done by cheap labour which could be fired at will, and would thus not make a noise about exploitation. Thus came the Voluntary Retirement Scheme, VRS. Some took it and left, but very few. By 2000, the management started making drastic, exploitative changes to the incentive system, which we opposed. Shouting slogans, hunger strike and so on, began, and reached the stage of tools down. But the management wouldn’t take back its incentive system revisions. The management started dismissing workers one by one. The workers’ movement started gathering steam. I remember the dates vividly, not least because I’m still fighting a case in court. On 12 October 2000, the management produced an undertaking form and kept it at the gate. The entire area outside the factory was covered by police. Traffic on the old Delhi-Gurgaon highway was stopped. A Maruti worker could go past the barricade only if he signed the undertaking form. The undertaking form asked us to take back the strike and join work, no demands met. We refused, all of us. The strike lasted 89 days. Our independent union had been undermined, its leaders switched over to the management side. The management came out with a new union registration number, which is the one they still prop up. Yet, of nearly 6,000 workers only about 500 went inside the plant during the strike period. That’s all they could break. Maruti spread lies in the media, said that we were being paid Rs. 23,000, were being offered Rs. 33,000, but were demanding Rs. 42,000. In those days there was not a single political party which did not come to address us. Deve Gowda, VP Singh, Chandrashekhar, the Left parties, everyone. The issue was raised in Parliament 3-4 times. The CPM’s Basudeb Acharya led an all-party delegation to the Lok Sabha Speaker GMC Balyogi where everyone agreed, the government agreed, that the workers should not have to sign such an undertaking form and that the dismissed workers should be taken back. We reached this conclusion in the speaker’s chamber. We are the world’s largest democracy, its sacred temple is Parliament, whose priest is the Speaker. And there is Suzuki, it’s just one of the world’s many automobile companies. Who prevails? Suzuki took back the undertaking form but did not take back 36 workers. On 8 January 2001, the management signed an agreement with the workers that neither side would proceed against the other on any issue, legally or otherwise, and no financial demands or changes would be made for the moment. Like a ceasefire. This included workers not being paid for the three months of strike. Yet when workers went in on the 9th, they did so with dhols being played outside. Who violated that agreement? From the very next day, the management started making hell the lives of the workers. As you know, working on the cars on a moving conveyor belt makes it impossible for the worker to drink water, go to the toilet, leave alone take rest. That is why we used to have relievers—some workers who would take over so that the main worker could attend to the calls of nature, and so on. Short leaves, for instance, were taken away. The company even stopped its buses to go fetch the workers. We had to come on our own, after 15 years of being used to the company bus fetching us. The idea was to have workers come late; electronic punching was introduced to record the exact time of entry. Being late by a second would be counted as an unplanned half-day’s leave. But that didn’t mean losing half-day’s incentive but 3/4th’s! Now you could say if you’re losing 3/4th day’s salary you might as well take the day off and leave but that is not allowed either because then they would deduct 1 and a half day’s incentive. This way, they would deduct Rs. 1,500 to Rs. 2,500, which is far more than a day’s incentive or two. There is no logic to this, only the management’s diktat. This was the normalcy we had signed for! Even today there is no bus service for workers to Gurgaon, though they had to start one for Manesar because it is really far and workers come from all over the National Capital Region. Earlier, we had 16 leaves a year and only if we exceeded it would we lose some of our incentive money, but proportionately. One extra leave equalled one day’s incentive deducted. All such deductions would go to a common pool, from where it would be equally divided among all workers at the end of the financial year. Worst of all, the incentive scheme we had fought was forcibly implemented. The company also violated its promise of not taking action against any worker for the strike period. It framed charge-sheets against 700-800 of us and started enquiries. Workers were called over one by one. Look, here, do you want this enquiry to proceed against you or would you rather take VRS? The tone was: we rule here. Mess with us if you can. They started harassing workers for not doing the warm-up exercises properly or going to the bathroom and started withdrawing medical and hospitalisation benefits. All to make us leave. I chose not to take the VRS, am fighting them even today in court. But many took VRS, 1200 odd workers took VRS and left, a few lakh rupees each. Most of their lives were ruined as they couldn’t do much thereafter. After years of adding nuts and bolts you don’t have a business-oriented mind. The management had killed the idea of a union. 26 August 2002 was my last day on the shop-floor. The unnamed worker resumes: After our 13-day strike in June last year, Maruti said they would recognise our workers’ body and so we went back to work. 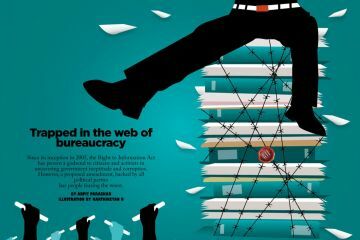 For a month and a half, we were back to normal, but then we got to know that Maruti had managed to get the labour department to reject our application to be recognised as the union. We filed another application, as a result of which they suspended 4-5 of the 11-member co-ordination committee of workers. We protested, to which Maruti replied that if we worked well for a month they would be taken back. We worked without a whimper for over two months but they were not taken back. So in August our second strike took place, again sitting on the shop-floor but they didn’t allow in contractual labour. One Sunday, they covered the entire factory with GI sheeting and kept only one gate open. We had to sign a “good conduct” undertaking. We obviously wouldn’t sign, for that would mean going back to square one, back to hell. Then they started pasting a list there, of workers they were suspended. It had nearly a hundred names. This time our movement lasted 33 days and then they relented and allowed us in. 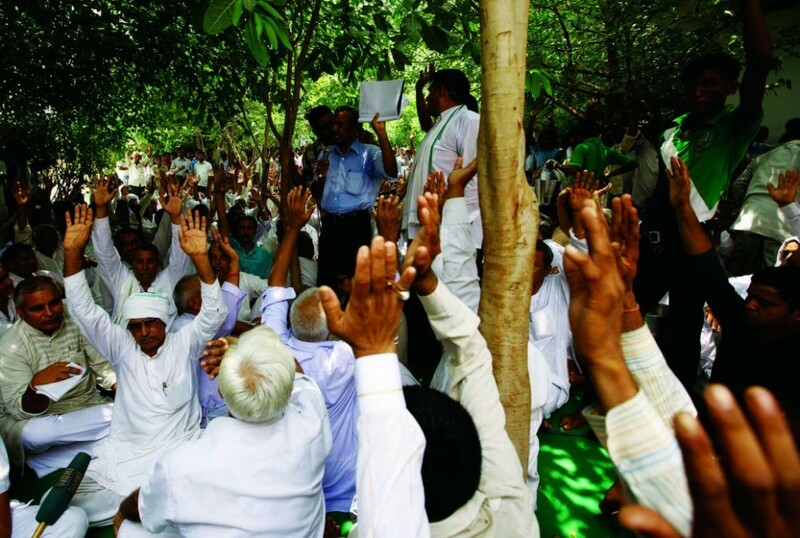 A mahapanchayat of 100 villages held on July 24 near Manesar urged Maruti Suzuki to stay in Gurgaon. It condemned the violence at the Manesar plant and demanded a CBI investigation. The labour department made us sign the good conduct form. The labour commissioner herself came and said your file for creating a union is with me anyway, you can do whatever and I wouldn’t allow the union to be made. Sign the good conduct undertaking or be sacked, she said. This is the labour commissioner! So we went in, but now they didn’t take back the contractual labour. Again they said, work well for 2-3 days and we’ll take back the contractual labour too. We waited for a week. But they still refused, we again struck work. We are all workers doing the same work, why should we not be with the contractual labour who are by far the most exploited? The contractual labour sat outside and we sat inside. This time it lasted 17 days. They brought in so much police that I think one day there were 7-8 policemen for every worker. They also brought Haryana Roadways buses. Looked like we were going to be taken out and a lockout declared. It was 13 October, 2011. The district commissioner, the labour commissioner and senior police officials all came, ordering us to vacate the plant. They threatened us with lathicharge if we didn’t leave. Now, our co-ordination body leaders had not been allowed in, and so we had made a new co-ordination committee inside. But the body outside, which was headed by Sonu Gujjar, communicated their decision to us inside to vacate, even though we were willing to vacate. The police had come with court orders to make us vacate. We came out on 17 October, 18 October was Karva Chauth, and we had a meeting of workers 2-3 days later. In this short time, something happened without our realising. Our co-ordination committee members were bought over. 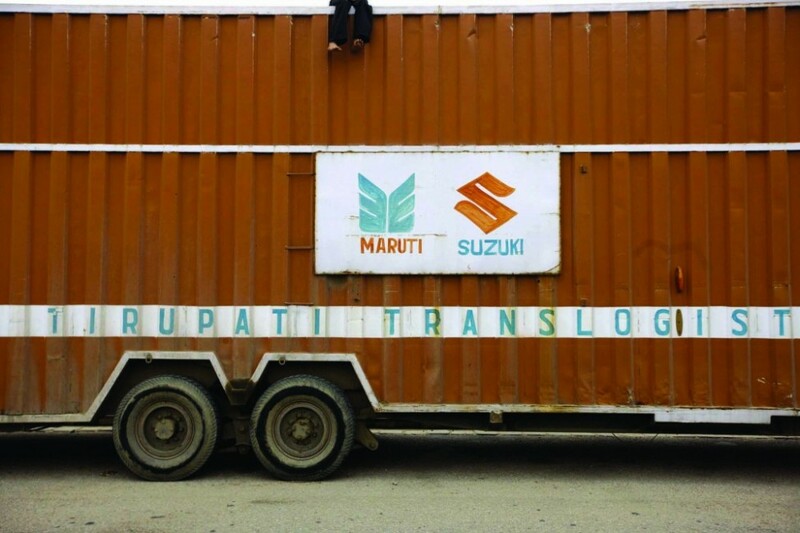 Sonu Gujjar, Shiv Pal and others were told by the Maruti management that they were not going to be taken back anyway, so they might as well take some money and disappear, thus helping break the workers’ movement. I do not know how much they were given but the others, we heard, got ₹16.5 lakh each. That is how our strike was broken this time and we went back to work. Now again, their main concern was to prevent us from exercising our constitutional right of forming a union. To prevent us from co-ordinating with each other they changed our locations and shifts. Assembly workers were sent to the paint shop and paint shop workers to the weld shop. But by 3 November we had managed to make another co-ordination committee and file another application for it to be recognised as our union. We had to do this secretively because there was immense surveillance on us. Even the vigilance department of the police was tracking us. We would make the workers sign the papers overnight, in between the shifts. It helped that many live close to each other. They had to form the union but they would keep delaying it. But the Maruti management reduced its authoritarianism on the shop-floor. We would hear the file would be cleared now and then. The stipulated time period of 45 days was not adhered to, but the labour department finally had to recognise the Maruti Suzuki Workers Union, registration number 1927, at the end of February 2012. During this time we didn’t raise a single voice, all we did was to pressure the labour department that we want our registration number. That was the only aim of every worker. During our strikes, the Maruti management would tell us to ask for a salary hike! Why are you after a union? They sent teams of people to every worker’s house to persuade our parents and wives with this idea. And scare them too: your son may face lathicharge, your husband may lose his job. Some 60-70 workers they were able to break this way. They also tried to break us on the lines of caste, religion and region. Anyway, now that we had a union we gave them a charter of 23 demands. The only one they conceded was that they gave us relievers. They also would now harass and pressure us a little less. They would now not make us work overtime, which they routinely used to, with or without the extra ₹17. Our main demand was that contractual labour should be made permanent and the practice of hiring contract labour ended. Then we demanded an increase in our salary. We pointed out that in 1998 when Maruti was making 80,000 cars a year a worker got as much as Rs. 18,000 but today when Maruti makes 15 lakh cars a year, we get Rs. 15,000–in 2012! So we said our basic salary should be Rs. 25,000 and then the incentive. The newspapers typically published exaggerated stories about how the salary hike and benefits we were demanding came to Rs. 1 lakh a worker. But you must understand that in a negotiation you always begin with a high amount. There are workers who left Maruti and joined Honda and are earning as much as Rs. 32,000 today. We also demanded better medical facilities, bus service for contractual labour until the contract system was ended, relievers, leaves, giving 15 minutes of rest time from the company’s 8 hours. Our demands were submitted in May 2012, after they didn’t raise salaries at the April appraisal—claiming to increase the salary package but not resulting in any extra cash in our hands. The management would now urge us to strike! Why don’t you go on strike, we would be asked. They wanted to say to the world, look these workers got their union but are still striking. The management did not mind the temporary losses they would incur with the strike. They think long-term, they think of the long-term costs if they have to pay us a decent salary. Their efforts were now geared at finishing our union and getting rid of us. They started spreading rumours that our union president, Ram Meher, had sold out to the management. But he and the general secretary Sarabjit are not the sort who would get sold out. After much persuasion, they started having negotiations with us every Monday and Thursday. We had 17-18 meetings with the management, in which they would simply pass time. They would read out the charter of demands one by one and then say we will discuss them in the next meeting. In the next meeting they would be an hour late and then ask, yes, what were the demands? Not a single demand did they agree to. Contractual and trainee labour, they said, are not under any negotiation. The union does not represent them, they said. 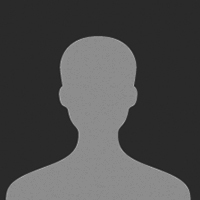 There would be 15-16 people from the management, headed by the HR head Avanish Kumar. Eight members of our body would go. Our last meeting was held on 16 July, in which they said all they could give us was a raise of Rs. 10,000 a year, which would include such benefits as shoes and clothes and Diwali gift. The increase in basic salary would be only Rs. 400. Now, they said, do what you can. So we said, why don’t we find a middle path, why not settle for something acceptable to both sides? On Wednesday 18 July, our union decided that we will not start the day before the official duty time. We will just sit there and stand up only when the duty time begins, and only then have the morning meeting and the warm-up exercises. Never mind that the bus reaches there 30 minutes before our official shift time. During the first tea break at 8.30 a.m., the supervisors were catching hold of workers and saying, “We want to speak to you about the morning meeting issue.” Most of us said we won’t talk about this during tea time. A supervisor did not like one worker, Jiya Lal, saying this. So he went back to him and started picking a fight with him, hurling expletives and casteist slurs—Jiya Lal is Dalit. 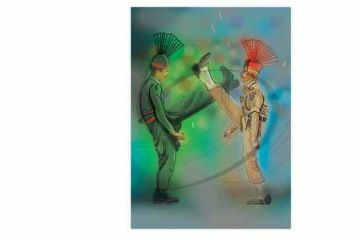 The supervisor complained to the management of Jiya Lal’s indiscipline and before noon, Jiya Lal was suspended. The union executive body members went to the management asking for Jiya Lal’s suspension to be revoked. When we insisted, the management sent the supervisor home on leave for a few days. Then they said they can’t reinstate Jiya Lal without talking to the supervisor, who is not here! So we decided we are not going to leave until Jiya Lal is reinstated. Talks about this took place until 5:30-6 p.m. They called in a lot of police and in the management office, 40-50 bouncers too. They thought they would scare the union members with the help of bouncers into withdrawing their demand of reinstating Jiya Lal. As soon as the bouncers started beating up union members, they shouted from up there to the workers. Now, we were a lot of people, we outnumbered the bouncers. Many workers beat up the bouncers and the management staff. The police, including senior officials, stood outside, didn’t dare to come in. Meanwhile, a short-circuit caused a fire. By 7:15 p.m workers had emptied the plant. A man of the management, dressed up some bouncers in workers’ dress and went up to the management area. That is when the fire escalated. We saw Avanish Kumar climb down the stairs before we exited the gates. How he died is a mystery to us. The post-mortem says he died due to asphyxiation but some of the media has been presenting it as though we personally murdered him with a knife. I feel sorry for Avanish Kumar. He was a good man, merely the management’s puppet who had been trying to resign for some time. His wife has said in the media how he had resigned in June. For a whole week nobody from the management went to meet his family. The third shift, called C-Shift, arrived for work that evening and the police arrested many of them–even though they were not there during the violence. 146 are in jail so far. The union body members went to the police station and surrendered but the police showed they had nabbed them from various corners of Haryana and Rajasthan. They have put all kinds of false charges, such as that we take arms inside the plant! They don’t have a list of offenders, they are catching whoever they can get. I am also in hiding here, because they will be happy to put me in jail too. Meanwhile, our bank accounts suddenly got around Rs. 50,000, followed by termination letters—no notice, no enquiries. They say they have terminated around 500 workers but I suspect it’s more. Some 1,800 contractual labour have been fired, so have at least 500 permanent workers, and 146 are in jail, many in hiding. That is, most of the labour force of 3,000 is gone. How then did they re-start the plant on 21 August? They could do this because they had started hiring people from the very next day after the violence. In other words, their purpose of finishing the union and getting rid of this lot of workers has been achieved. The media blames us for the violence but doesn’t ask who was benefited by the violence. Are we not sad at losing our jobs? Don’t we have families to feed, children to send to school? While Avanish Kumar’s death is being used to show the workers as murderers, when two workers died in the 2000 movement, there was no hullabaloo and there has been no investigation, no justice. Yes, the workers broke the CCTV cameras at 7 p.m. but its recording is stored elsewhere. Why can’t they show us what happened till 7 p.m.? Because they themselves switched off the CCTV cameras at 11 a.m. so that their calling in of bouncers is not recorded. This is not the end for us. There will be rallies, there will be dharnas. We will fight in the court The struggle will continue.